Customer relationship management solutions are the best and most effective method in maintaining the good relationship with the current and future customers. In this competitive commercial world, maintaining a good relationship with the current and future customers is a crucial and irresistible thing for a business. CRM solutions is not just a formal relationship, there should be a personal bond between customers and the company which will be the key to success. CRM solutions are not just providing the answers and clearing doubts of the customers. It involves many innovative things to retain the customers and improve the business. It also involves in acquiring information about customer mindset and future needs to improve their products and increase new customers. – CRM solutions provide all the information and analysis of customers which helps to reduce the effort of analyzing the present and future needs of a customer. This will help to improve the product to meet the customer needs. – CRM solutions provide complete details about the customers. From that information, it is an easy job to sort out the customers to find the potential customer who will be beneficial to the company. – The CRM solutions are not just a method for maintaining good relationship with the existing customers. It is also a great tool for bringing in the new customers. 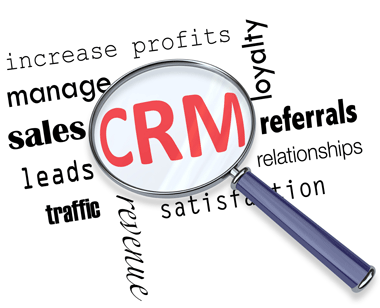 CRM solutions identify the new customers and maintain all their details in its system. It will be a good resource to acquire new business opportunities with ease and efficiency. This database helps the field/ sales agents to expand the business by pursuing the new customers and converting them into successful business leads. – The CRM solutions group the customers based on various key factors such as the location, their needs, type of business of the customer and more. It helps to assign different relationship managers to different group of customers which ensures the specific approach to each group of customers. This targeted marketing and personal approach will improve the sales and profit of the company. – This CRM solutions system is a centralized method which can be accessed from anywhere and anytime. This method provides the information about customers instantaneously thus increases the production rate. – Making good relationship with all customers and supporting them with whatever they require will improves the customer satisfaction thus improves the chances of expanding the bushiness. A satisfied customer will be loyal to the company and remain with the company forever. This will lead to more customers and result in more growth and profit. – Constant improvement is vital for each and every business; even an experienced company needs the CRM solutions for the improvement of their business. Because, the mindset and needs of a customer is constantly changing over the time period. In this customer oriented market, recognizing the needs of customers and maintaining a good relationship with them is an irresistible practice. Building good reputation over customer’s satisfaction is the primary key to be a successful company. Each and every company needs the Customer Relationship Management solutions to compete with others and cope up with the current business needs.